"A Dan Brown read-alike tailor-made for an election year." --Booklist A President is murdered. A First Lady demands answers. And a young Senator will uncover a conspiracy that threatens to upend the global balance of power. When Robert Constable, President of the United States, dies in bed with a woman in a New York hotel room, the public is told that he died suddenly and peacefully of natural causes--and alone. The truth, however, is anything but that. The President's wife, Hillary Constable asks young senator Bobby Hart, who serves on the Senate Intelligence Committee, to find out who had her husband murdered and why. As Hart begins to learn more about the President's shady dealings, he uncovers a massive global criminal and financial conspiracy, headed by a secret underground organization nicknamed The Four Sisters. Yet the closer Hart gets to the truth, the more shocking secrets are revealed that could threaten his life, American Democracy, and the future of the nation. 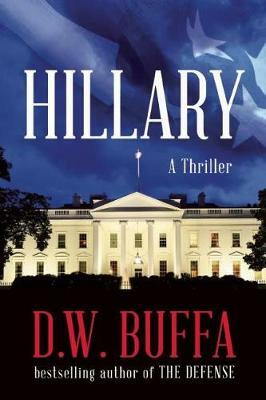 A riveting and controversial political thriller from acclaimed, bestselling Edgar nominee D.W. Buffa, Hillary is a novel that will appeal to fans of David Baldacci, Brad Meltzer, Brad Thor, and Vince Flynn.